The Cargill Salt Ponds on the island of Bonaire have been named as a Western Hemisphere Shorebird Reserve Network (WHSRN) site of Regional Importance. 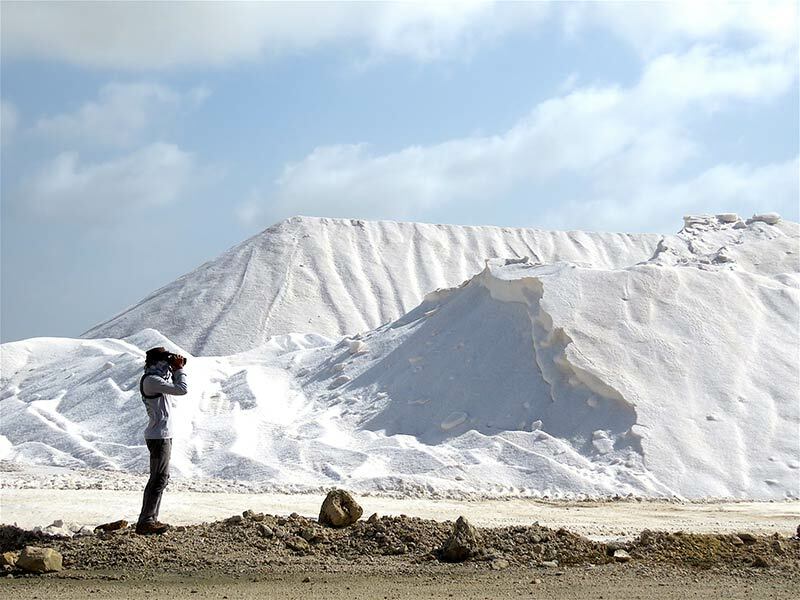 This is only the second WHSRN site in the Caribbean, following the Cabo Rojo Salt Flats in southwestern Puerto Rico. This special recognition came as a result of a collaboration between BirdsCaribbean and Cargill Salt Bonaire B.V., owners of the site, on the nomination of the Salt Ponds for WHSRN status. The process began with surveys during 2015. A delicious menu is served to visiting shorebirds. The privately-owned salt production facility on Bonaire’s southern section consists mainly of artificial wetlands covering 2,700 hectares. These ponds fill up with brine shrimp, while brine flies cover the dikes running between them. For migratory shorebirds stopping over or wintering in the area, this is a delicious menu. The Caribbean is a vital link on the Atlantic Flyway, so the protection of sites such as these is critical. The WHSRN designates important habitats in the Americas with the aim of protecting and sustaining the region’s shorebirds. Cargill Salt Ponds Bonaire is the 103rd site to join the network and the first site in the Dutch Caribbean. WHSRN sites cover nearly 15 million hectares (38 million acres) in 17 countries. The Bonaire site is also a Ramsar Wetland of International Importance and forms part of an Important Bird Area (IBA). 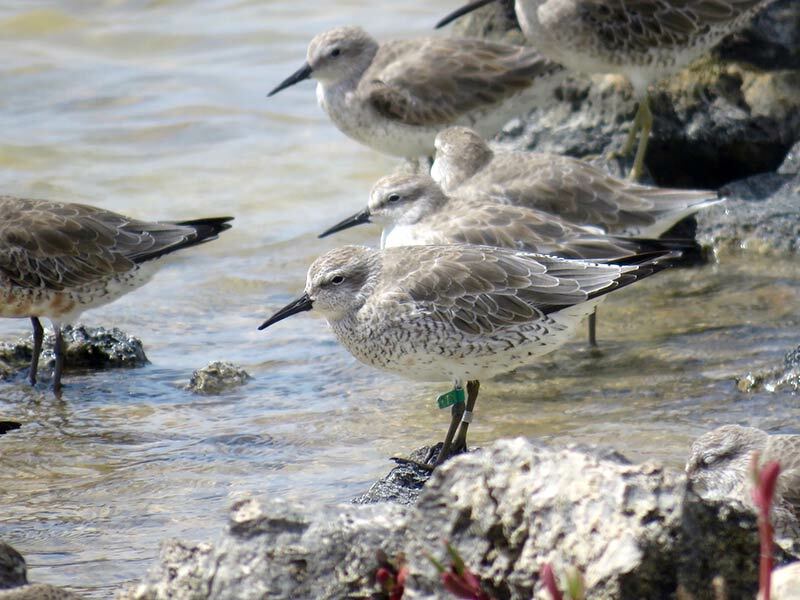 This WHSRN designation is especially good news for the endangered Red Knot. This sturdy bird is a long-distance traveler, flying up to 19,000 miles annually from the Arctic to southern Chile and Argentina. Like many of the seventy species of migrating shorebirds worldwide, this bird’s numbers are falling. The rufa subspecies has declined 80% over the last 20 years, while other species such as the Semipalmated Sandpiper have also seen major declines. The coastal estuaries, wetlands, rivers, beaches, and mud flats, where shorebirds stop and feed on their journeys, are disappearing due to development. Other threats to these fragile populations include predators, pollution, hunting, and the global impact of climate change. More than 20,000 shorebirds of 17 different species visit the Cargill Salt Ponds each year. 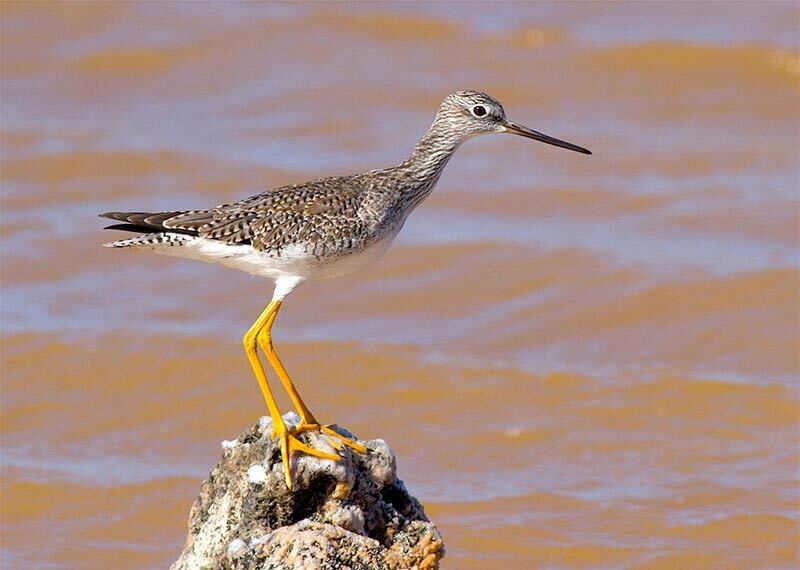 BirdsCaribbean surveys revealed that more than 20,000 shorebirds of 17 different species visit this large wetland complex every year, qualifying it to join the Network at the “Regional” level of importance. This large concentration of shorebirds includes at least one percent of the world’s population of Short-billed Dowitcher and the threatened rufa subspecies of the Red Knot, further supporting the designation. The salt ponds support large numbers of several other species of migratory shorebirds, including Semipalmated Sandpiper, Least Sandpiper, Stilt Sandpiper, Semipalmated Plover, and Sanderling. Wintering and breeding populations of Snowy Plover use the site. One of the Caribbean’s largest populations of American Flamingo nests in the area, which also nurtures Bonaire’s only known breeding spot for the Royal Tern. Cargill Salt Ponds are the perfect location for birding on upcoming Global Big Day on May 5, 2018. This Saturday is Global Big Day, when birders around the world get out and count birds to get the best picture of populations. It’s not necessary to spend the day birding, one can always take 30 minutes and do a count. Get out and count this Saturday!